Director Jim Hanon had an opportunity while in Memphis last week to talk about the influence the city of Memphis has on the Holy Land today and on his film Little Town of Bethlehem. 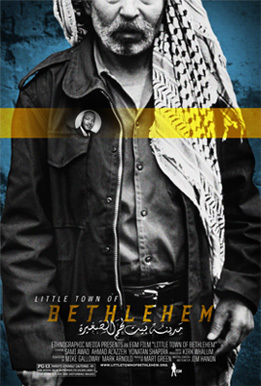 In addition to showcasing the impact of the message of equality and humanity championed by Dr. Martin Luther King Jr., the soundtrack produced by Grammy-Award-winning artist and Memphis native Kirk Whalum blends the sounds of Israeli and Palestinian musicians with local blues musicians whose parents participated in the civil rights movement with Dr. King. The soundtrack is available on iTunes and Amazon.com. Watch the Interview. It is nice for all to “get along” with each other. However, without the Prince of Peace at the center of things, this just is not possible. The U.S. has be uniquely blessed with a certain amount of peace (people getting along with others). However, this is only because of the prayers of His people and of course, for His glory. Becauase we are not in Heaven yet, we need to take percaution and look at history, and receive the “thumbs up” which scrupture (the Bible) reveals in order to be better prepared and better equipped for the days that are to inevitably come.